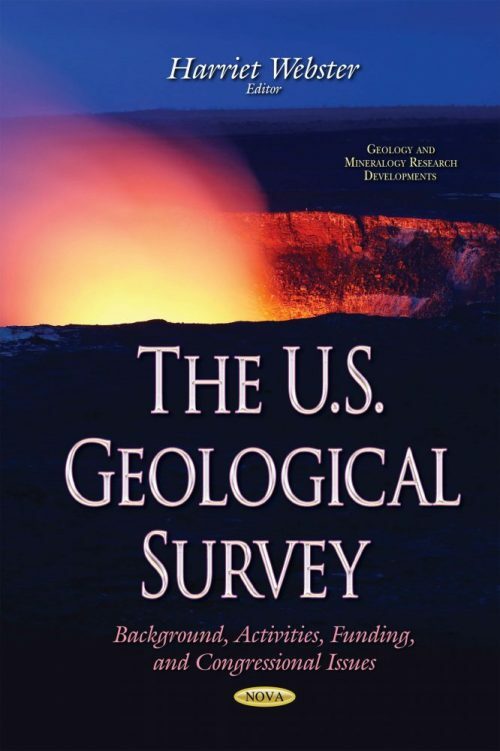 The U.S. Geological Survey (USGS) aims to provide unbiased scientific information to describe and understand the geological processes of the Earth; minimize loss of life and property from natural disasters; manage water, biological, energy, and mineral resources; and enhance and protect the nation’s quality of life. The USGS is a scientific agency that is housed within the Department of the Interior. Its primary mission is conducting science; it has no regulatory authority, nor does it manage any significant federal lands. The USGS also collects and stores scientific information that is compiled into long-term continuous data sets. These data sets range from satellite imagery of land and ecosystem features to streamflow data on major rivers and streams. The background of USGS, as well as the activities, funding and Congressional issues are all discussed in this book. Budget Oversight Hearing Memorandum on "Examining the Spending Priorities and Mission of the U.S. Geological Survey in the President’s FY 2016 Budget Proposal"
Statement of Dr. Suzette Kimball, Acting Director, U.S. Geological Survey. Hearing on "Examining the Spending Priorities and Mission of the U.S. Geological Survey in the President’s FY 2016 Budget Proposal"